Super Impulse’s Tiny Arcade line—a series of four-inch-tall fully playable arcade cabinets—is a fun way for ‘80s kids to relive their childhoods spent stuffing quarters into arcade machines. But for those times when you’re away from your desk and get the itch for Pac-Man or Missile Command, Super Impulse has created a new MicroArcade line that now puts those classic titles on gaming machines no bigger than a credit card. They’re not quite as thin as the Visa or MasterCard you’ve just whipped out of your wallet while desperately searching for a pre-order link, but the MicroArcades still manage to squeeze a full-color LCD screen, sound effects, physical controls, and a microUSB charging port into a wallet-friendly handheld that’s just over three-inches long. 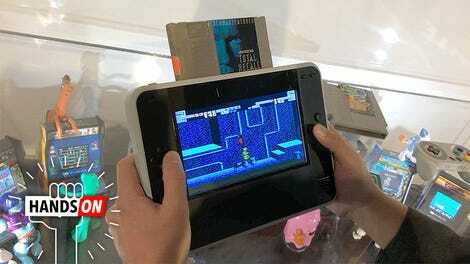 Yes, your smartphone can already play countless classic gaming titles, but as we’ve repeatedly stated: an emulator’s touchscreen controls are a poor substitute for real buttons. 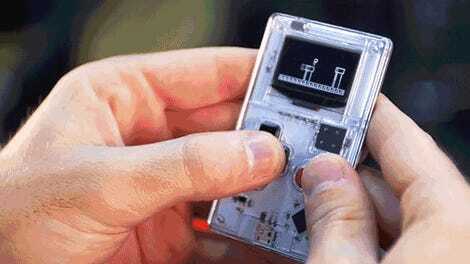 Kevin Bates’ Arduboy (left) and the Tetris MicroCard (right). 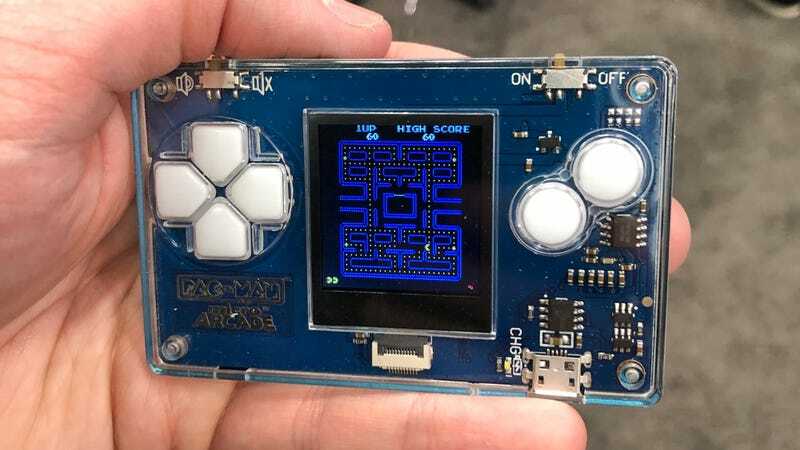 If Super Impulse’s MicroArcade consoles look familiar to you, it’s because the company has actually licensed the same technology that powers Kevin Bates’ Arduboy and Tetris MicroCard handhelds, which we’ve reviewed in the past. But Super Impulse has also made some improvements to Bates’ original design, including the color screen upgrade and the ability to play games that require a little more horsepower under the hood. MicroArcade Series 1 will feature three different versions at launch: Pac-Man, Tetris, and an Atari Combo Card that includes Missile Command, Centipede, and a third game that will be revealed at the New York Toy Fair later this week. When available later this year they’ll sell for between $20 and $25, which is going to make them hard to pass up if they’re stacked near the checkout aisle.